This series is challenging. It renders much to realism and in these days, rude awaking at times. The depth of the sea of deception – overwhelming. Almost daring one to dive in with a sense of hopelessness. At least that’s what the enemy of souls would like to see us do. With his putrid suggestion that Truth is scarey, inconvenient and lacking joy, I stand against that in the Name of Yeshua, Truth is our Lord, where no fear abides, no sacrifice is thought of as too much, and joy rings out of the rocks, air, all things for Him! I thought it would be fitting for the battle to bring Truth to shine upon the “doom and gloom” team. Being awake means beauty – joy – hope – gladness – being awestruck – delighted – full of desire for the end to come, in the Spirit of the Living God, the end of all suffering, evil, death, dispair, discouragement, disillusionment, deception, fear, pain, heartache, loneliness, depression, disease, sickness, fatique, failure, cheat, lies, theft, adultery, unfaithfulness, betrayal, misunderstanding, and the list into depravity goes on. NO MORE! The end, Justice rendered, vengeance against the evil one and the atrocities he has done to each soul, to the earth, to God’s own heart, finished! I think where so many often get lost in the ‘end-ness’ of it all, is that they don’t go and see what the end will look like from the forward motion of that moment into the next. Grant it, there is some mystery that we can’t know. What will this new heaven and new Earth look like? Biblical descriptions are inviting but still hard to conceive. The old earth has permanently tattooed it’s image in our minds. After all it holds breath taking beauty, wonder and bounty. God made it after all, how could it not? Yet even God’s attempt to show us a little makes it difficult to picture. For, look! I create a new heavens and new earth; past things will not be remembered, they will no longer come to mind. So be glad and rejoice forever in what I Am creating; for look, I Am making Jerusalem a joy and her people a delight. My sister and I were talking the other night about the sun and moon being gone forever. How we’d miss them. Will God really eliminate everything from all we’ve known? I don’t think He minds that we discuss such things, and even appreciates that we see the incredible beauty of all He has made that we experience in this life. For be sure, as my sister and I talked we gave no one the glory for beauty of any kind but God. So this pleases Him, this I know. Yet there is put forth a question that we must be willing to answer in favor of this great exchange of the now and what’s been, for all He shall do in a future we can’t see. Knowing that everything – everything will be totally and completely different than we’ve ever known. At least in the physical sense. Spiritually, the goodness of God will only be multiplied by some number that man kind can’t comprehend. No one has ever heard, no ear perceived, no eye seen any God but You. You work for him who waits for You. Let’s go to Revelation between chapter 21-22 and take a narrated look at what we’ve been given as a glimpse of just the new city we shall live in. Holy city, Jerusalem, coming down out of Heaven from God. It has His Sh’khinah (Manifest glory of God) so brilliant like a priceless jewel, a crystal-clear diamond. High walls, 12 gates with 12 angels with the inscription of the 12 tribes names from Israel. 3 gates east, 3 gates north, 3 gates south, 3 gates west. The walls built of 12 foundation stones with the names of the 12 emissaries of the Lamb. The city is then measured, square, 1500 miles in all directions. The wall 216 feet. (That’s taller than the World Trade Center) The wall made of diamond and the city pure gold that looks like pure glass. The foundations of the city are decorated with all kinds of precious stones, 1st – diamond, 2nd – sapphire, 3rd – chalcedony, 4th – emerald, 5th – sardonyx, 6th – carnelian, 7th – chrysolite, 8th – beryl, 9th – topaz, 10th – chrysoprase, 11th – turquoise, 12th – amethyst. The 12 gates are each one big pearl. The city main street pure gold, again like pure glass. The God of Heaven’s armies and Yeshua (Jesus) is the Temple.The city needs no sun or moon because God’s glory gives it Light, the Lamp is Yeshua. The nation’s walk by in its light the kings of the earth bring their splendor to it. The gates will never close, they stay open because night and day no longer exist. The honor and splendor of the nation’s will be brought into it. Nothing impure will enter it, no one who does shameful things or lies, the only ones who enter it are those whose names are written in the Lambs Book of Life. Then there is a river of the water of Life, sparkling like crystal flowing from the throne of God and the Lamb (Yeshua). Between the main street and river is the Tree of Life, producing 12 fruits, one each month, and it’s leaves are for healing the nation’s, no more curses. The throne of God and the Lamb will be in the city and His servants will worship Him, we will see His face and His name will be on our foreheads. Again it tells us that night and day, sun nor moon, are no longer needed because God Himself will shine on us and we will reign as kings forever and ever. So here we see the depiction given, no one has ever seen such a thing. Some of those jewels I have no idea what they look like. I’ve never seen gold that looks like pure glass. I’ve seen a glimpse of God’s glory, and when I look at the sun I’m aware that His face would indeed kill me now in this body. The moon is a wonder to behold. I’m not sure I understand the squareness of the city, but I’ll not waste a second arguing it’s logic. The height of the city much less the walls compare to nothing this earth has to offer. Sounds very secure, and indestructible. The things that are easiest, I think for everyone, to delight in is where no lies, shame, curses will ever come in. That God Himself and Yeshua will hold the city in their Light and protection. That instead of some building made by man we will enter into God Himself to worship! That is both mind blowing and exciting! So who, honestly, wouldn’t want to be awake to see this? Well as always it’s not the good things people tend to fall asleep to, but the hard and unsightly, uncomfortable and inconvenient things that tends to close the eyes. So this, too, begs the same question. Would one rather be blind to all or see all? It’s a difficult choice. Feelings will close the eyes, as they are stuck on temporal things. The here and now and semi-future one desires to plan for themselves is preferable to a future that almost everything around us seems to say is a lie. The world is dark and ugly, full of wicked and treacherous deeds and acts, war, and things that most have no desire to understand in the way of evil. On the other hand, because God has yet to withdraw His presence completely, there is love, kindness, compassion, good deeds, beauty. To think of it all is hard, makes the choice very simple yet not in the least easy. To forsake all that can be had here for the incredible nothing but good later. What does this look like? Isaiah chapters 60-66 are a good description in such detail, I strongly recommend you read it. As you do, it will make those choices seem trivial. No more will the sun be your Light by day, nor the moonlight shine on you; instead Adonai will be your Light forever and your God your glory. No longer will your sun go down; your moon will no longer wane; for Adonai will be your Light forever; your days of mourning will end. All your people will be righteous and they will inherit the land forever; they will be the Branch I planted, My handiwork, in which I take pride. The smallest will grow to a thousand, the weakest will become a mighty nation. 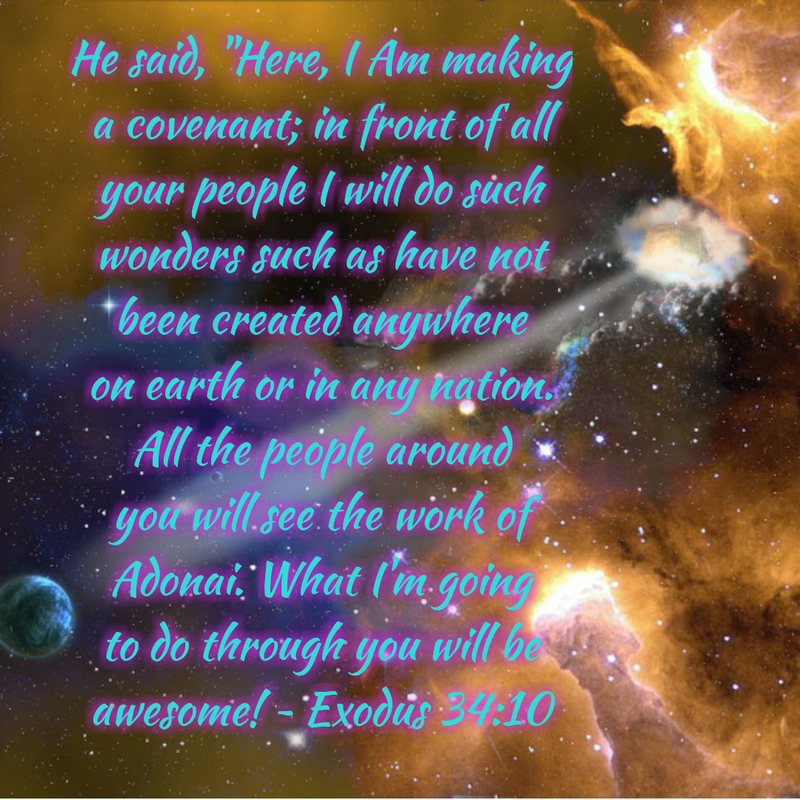 I, Adonai, when the right time comes, will QUICKLY bring it about. I will rejoice in Jerusalem and take joy in My people. The sound of weeping will no longer be heard in it, no longer the sound of crying. No more babies will die in infancy, no more will an old man die short of his days – he who dies at a hundred will be thought young, and at less than a hundred thought cursed. They will build houses and live in them, they will plant vineyards and eat their fruit. They will not build and others live there, they will not plant and others eat; for the days of My people will be like the days of a tree, and My chosen Ones will themselves enjoy the use of what they make. They will not toil in vain or raise children to be destroyed, for they are the seed blessed by Adonai; and their offspring with them. Before they call, I will answer; while they are still speaking, I will hear. The wolf and the lamb will feed together, the lion eat straw like an ox (but the serpent – it’s food will be dust). They will not hurt or destroy anywhere on My Holy Mountain. Your heart will rejoice at the sight, your bodies will flourish like newly sprouted grass. It will be known that the hand of Adonai is with His servants; but with His enemies, His fury. 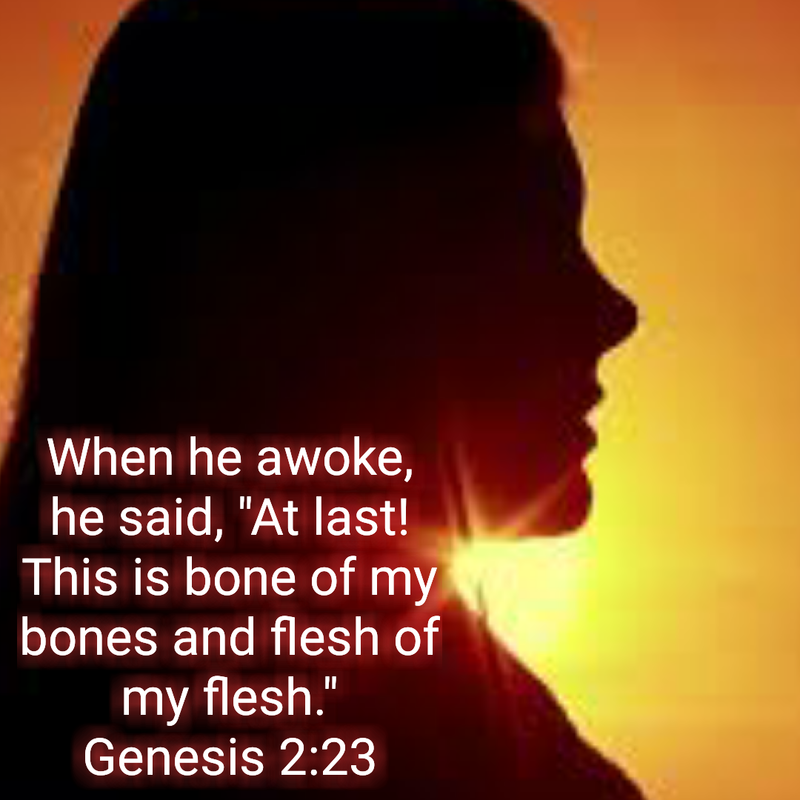 I think it’s helpful to remember that God caused Adam to go into a deep sleep, and when Adam woke up, his eyes beheld the gift God made of him. Sometimes the Lord dulls our senses, blinds, to keep us out of His way, so that what He’s bringing about can be done without delay and without our “help”. These days call for full alert, not just to the deceitfulness of the world we live in, but to the delight of who He is and what He’s doing to keep His promises! To be awake to all is to have the goodness of God be felt more! I see the truth, hard and cut, my heart grieves much over those who don’t, but so, too, is my joy increased! The chemsprayed sky is still His, and beautiful! The love I share with my loved ones, and feel for all my fellow man is felt down to my toes and given in increasing beauty. The delight in trees, grass, creatures, laughter, rain, wind, snow, sunshine, moonlight, star gazing, sunsets, sunrises – give me Life and take my breath away! The touch of Sam, my husband, his hand in mine, is eternal, and here gives strength and courage, but for the coming Kingdom, the increase of its joy and promise of the future beyond reckoning. The joys of friendship and brother and sisterhood is yet more to be cherished. Being awake does not take away from any good thing God has made here and now, but makes its that much more miraculous and cherished. Being awake, is the only hope of the future. 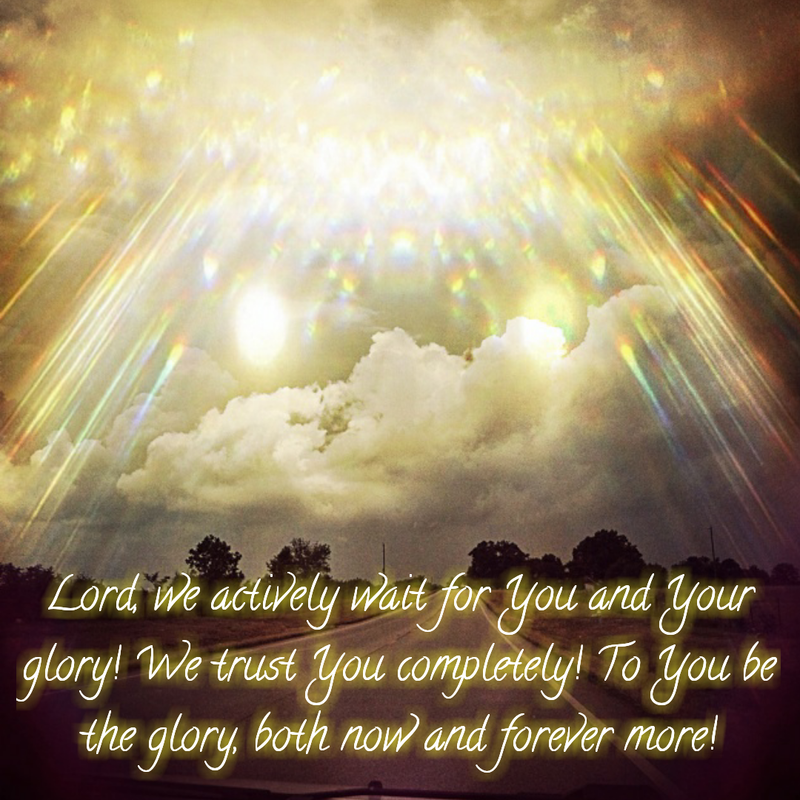 Being awake will delight the eyes of those whose eyes are steadfast on the Lord, His ways, His plans. Being asleep is death.